Bronzed and absolutely flawless, the perfect pigment to show your lids a lot of love. The rose-tinted shimmer helps to widen the eyes, whilst the warm hues give your look a seductive glow. Add a base layer to your shadow or simply let the shade do all the talking, it really does have a lot to say. 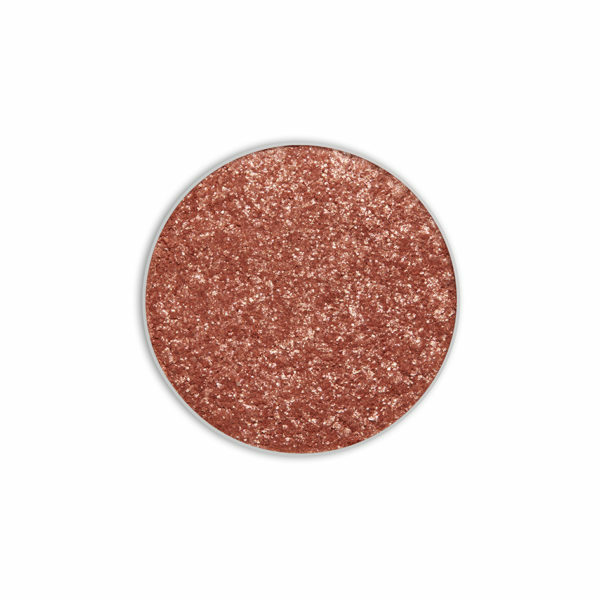 Shade Description: Warm mid-tone red bronze with shimmer finish. Load a small fluffy brush, pat the shadow onto your eyelids and blend out.